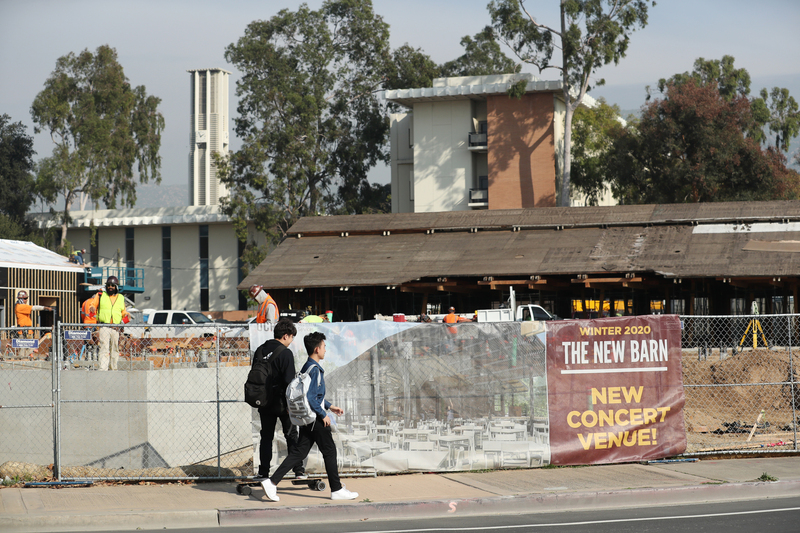 From new residence halls at the north end of campus to the renovation of the Barn, UC Riverside is abuzz with construction activity, and it’s just the beginning. 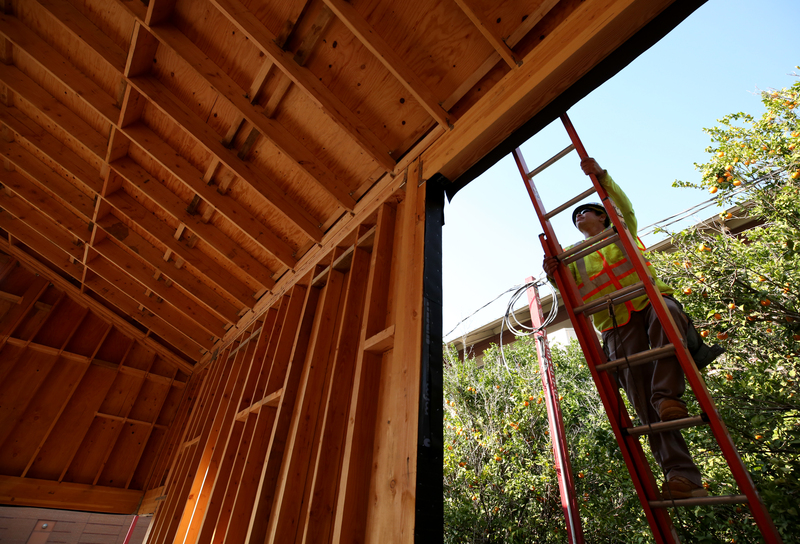 This year will be one of the busiest in campus history with about $400 million worth of projects under construction, including several new or renovated buildings. 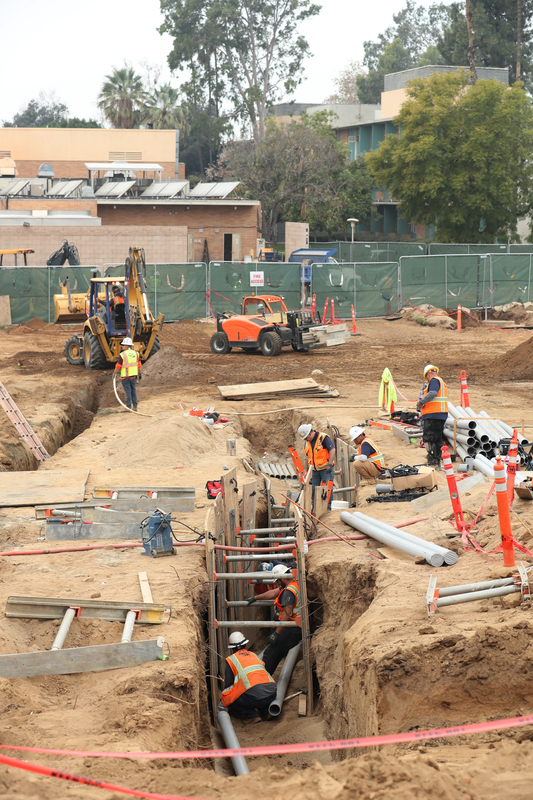 The construction boom reflects the growing student population and the need for more classrooms, research space, and other facilities. 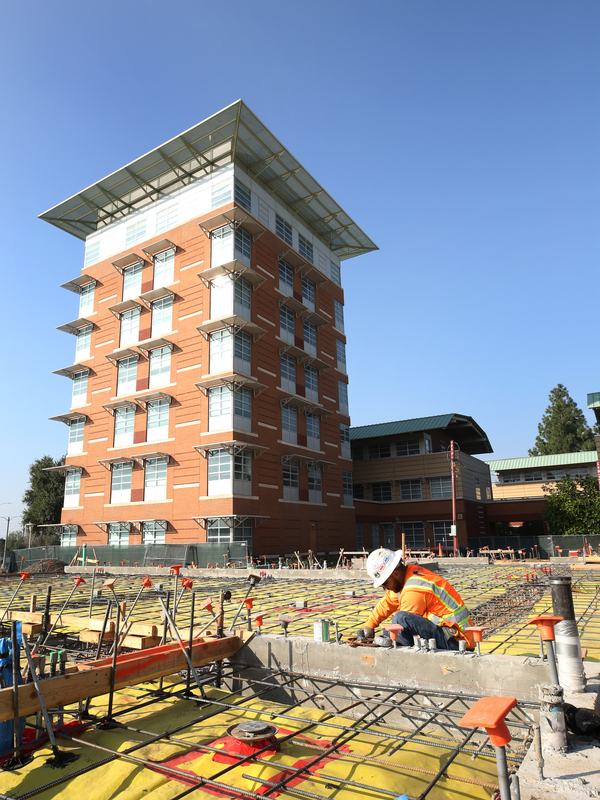 “UCR is growing and these projects will support that growth,” said Jacqueline Norman, campus architect. 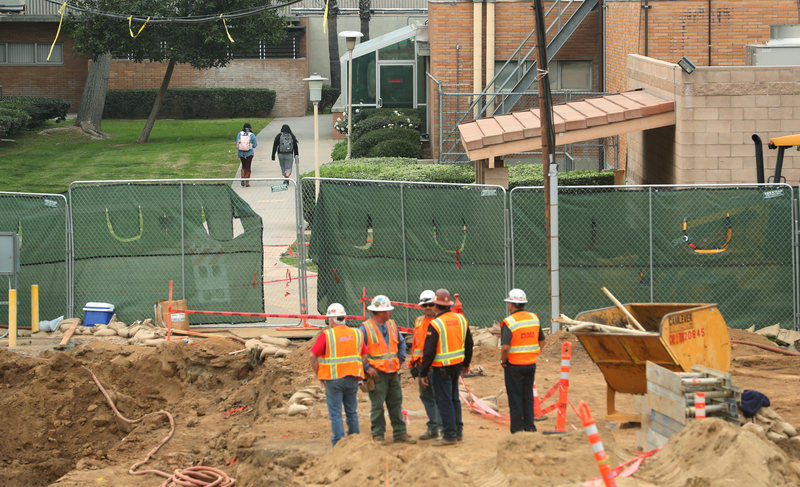 The Planning, Design and Construction department is working closely with Facilities Services and Transportation and Parking Services to minimize disruption to daily campus operations, but construction work is expected to result in some closures, detours, noise, and other impacts over the next few years, Norman said. The campus began the year by celebrating the completion of the $164 million Multidisciplinary Research Building, which now stands as the largest and most sophisticated research facility on campus. The 179,000-square-foot building took three-and-a-half-years to complete. 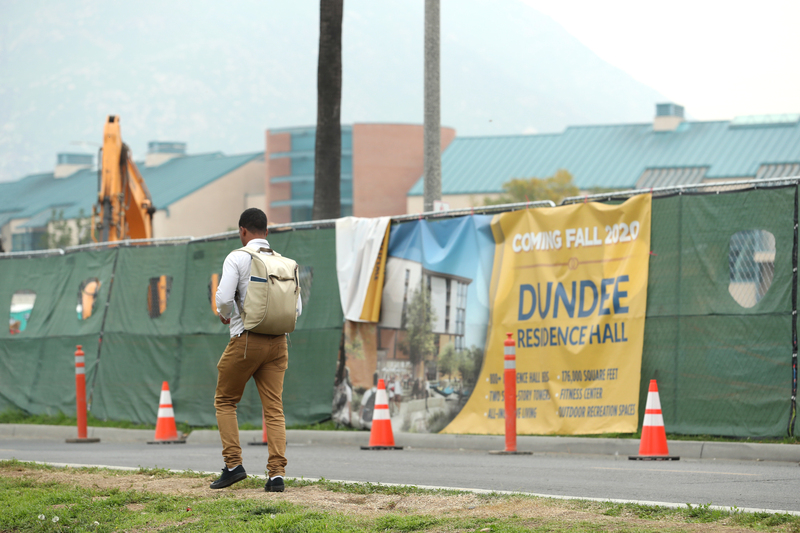 Not far from the new research facility, construction work began in December on the Dundee Residence Hall and Glasgow Dining Project. 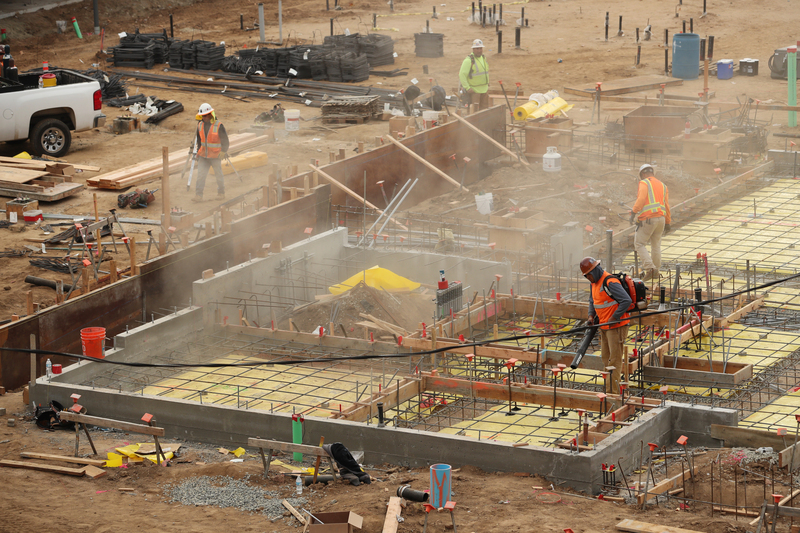 The project will consist of three separate structures on approximately 4.5 acres: a 51,000-square-foot, two-story dining facility and two seven-story residence halls totaling 176,000 square feet. The $150 million project is expected to be completed by fall 2020. An outdoor sculpture, located on a 5,000-square-foot area between the Arts and CHASS buildings, will start construction later this month. The $1 million project by artist Roy McMakin will feature a kinetic steel sculpture, sculptural concrete benches, and landscaping that includes Cottonwood trees. The piece, designed to be functional as furniture and thought provoking as art, is expected to be complete by April. 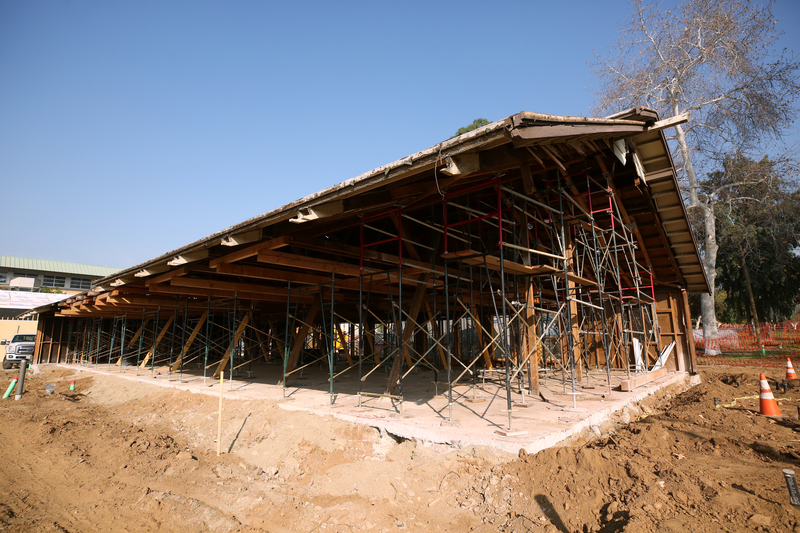 A campus committee proposed the project as part of an effort to provide more public art at UCR. The campus is taking advantage of the construction of the Mobility Hub to redesign nearby paths and roads to make them more pedestrian friendly. The project will close vehicular access to North Campus Drive and create a gateway plaza. 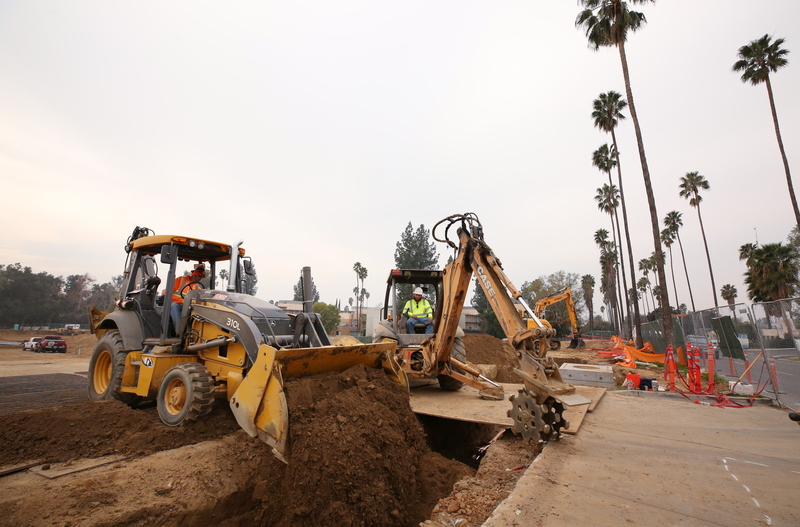 The improvements are expected to be completed by early 2020. In April, work will begin on the $22 million Plant Growth Environments Facility near Parking Lot 9 and between East Campus Drive and the Computing & Communications building. The 30,000-square-foot facility will feature 20,000 square feet of greenhouse and 20,000 in support space. It’s the first new greenhouse space built in 50 years and will replace older facilities with high-quality, modern space to support plant research that allow for better temperature control. The project is expected to be completed by July 2020. Located at the east end of campus at the existing Lot 13, the new structure will meet growing demand for parking space and make up for parking lots recently closed for projects such as Dundee Glasgow. The 220-unit complex includes 19 two-story buildings, two laundry rooms, and a common building for a total of 167,270 square feet. Work began last summer and will be completed in August.